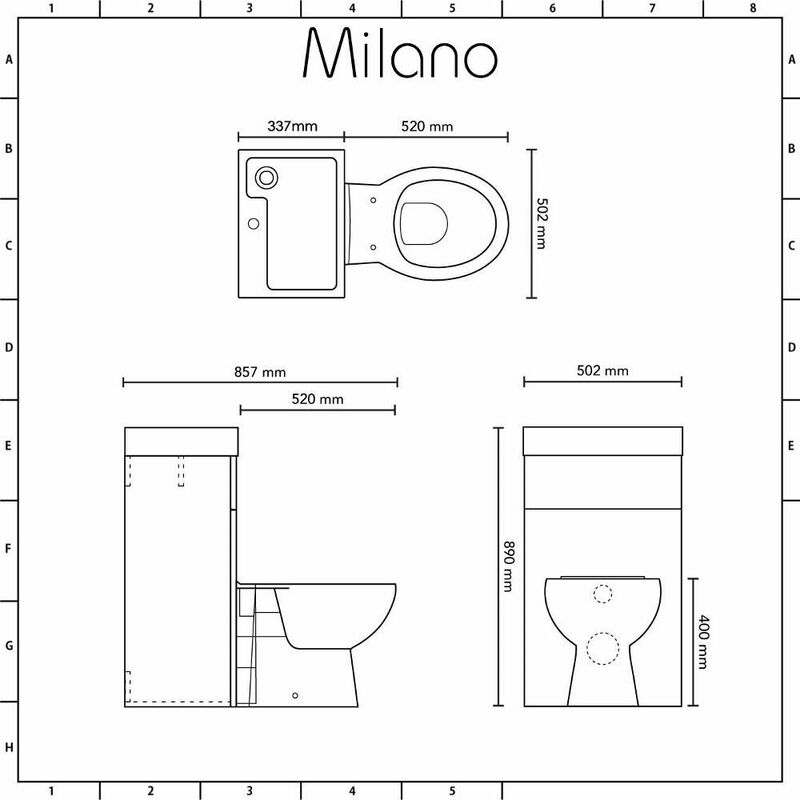 The Milano 2-in-1 toilet and basin combination unit is the ultimate space saving solution for small cloakrooms and shower rooms. 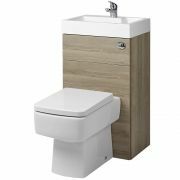 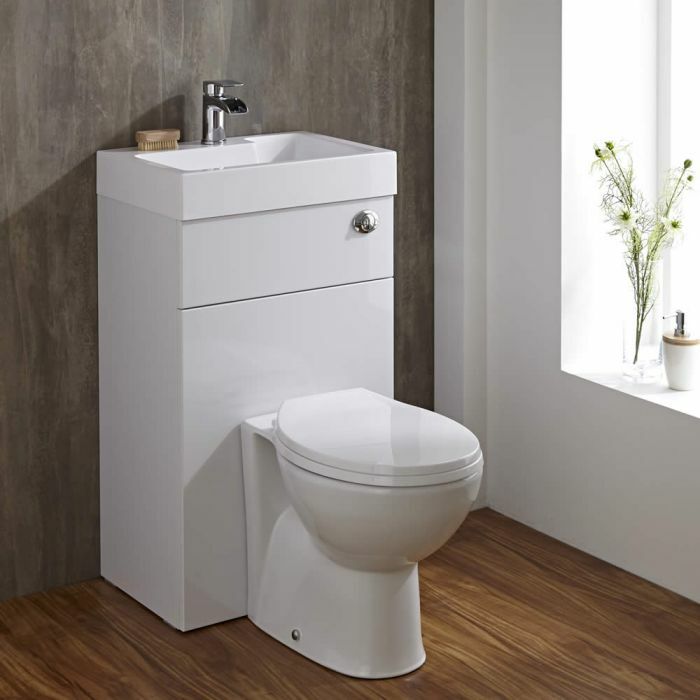 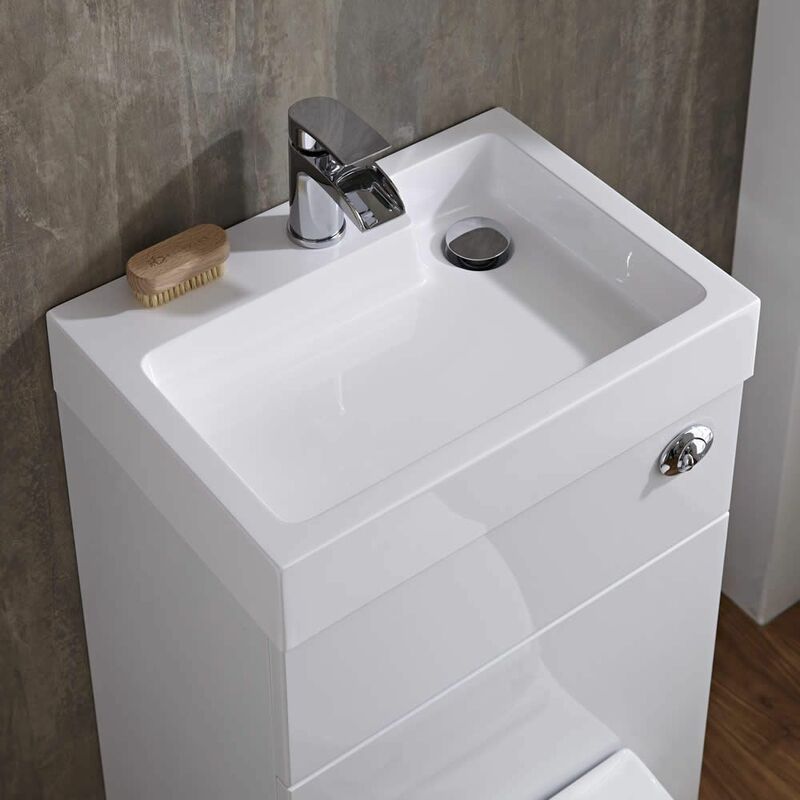 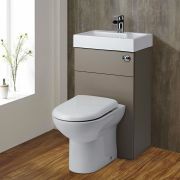 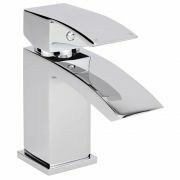 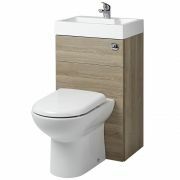 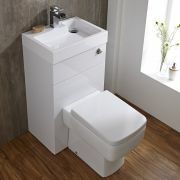 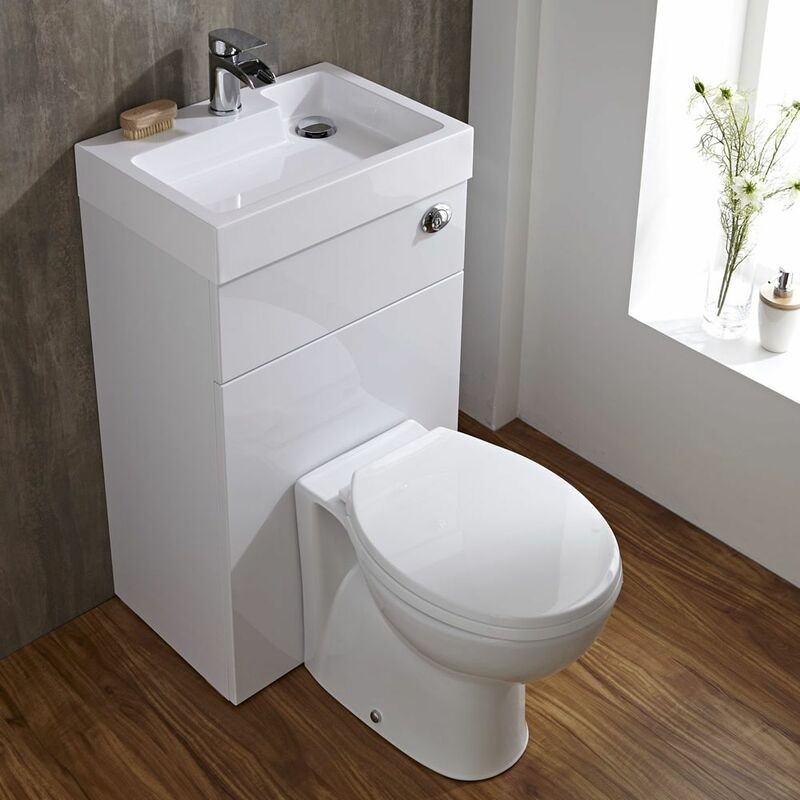 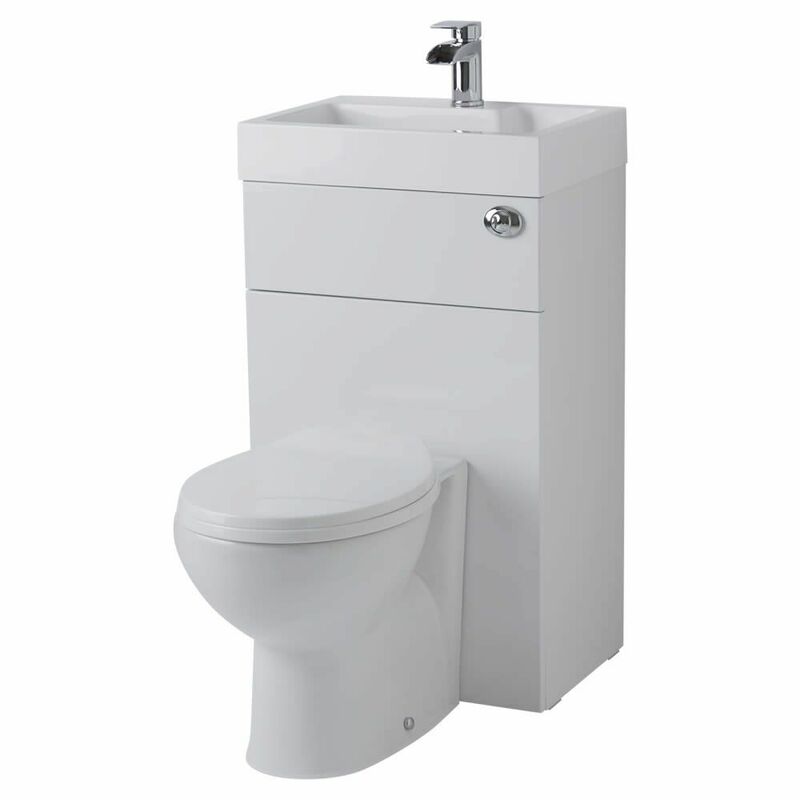 Featuring a white gloss finish for a bright and modern look, this combination unit includes the basin and back to wall toilet with seat and cistern. 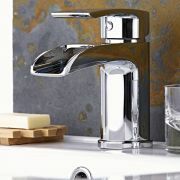 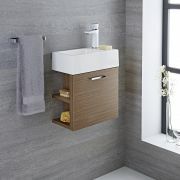 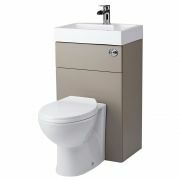 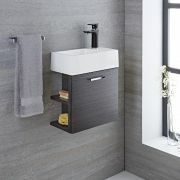 The unit conceals all the pipework and the cistern, ensuring a neat and tidy look to your cloakroom. 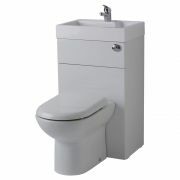 Please note: the waste water from the basin does not run into the basin.